EDITOR’S NOTE: Updated April 2019 with new products. 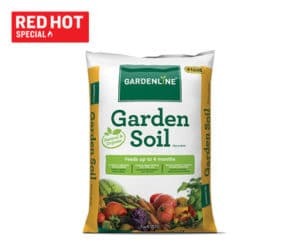 Aldi sells so many gardening products that we can’t list them all, but this is a roundup of a few of them. Check back later for more products and updates. 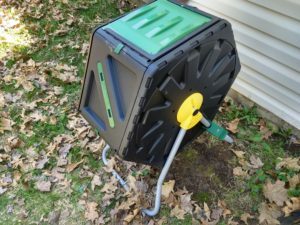 Thoughts: This is a smaller tumbling composter model, but it’s easy to assemble and easy to use, and it will help divert your kitchen and garden scraps from landfills. In return, you get healthy, rich garden soil or fertilizer for your lawn. 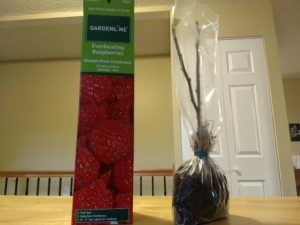 Thoughts: This features two raspberry plants packaged in a plastic bag inside a box. They’re not quite like the dormant, roots-only plants Aldi sometimes sells, because these do have some small leaves growing on them. They promise to bear fruit during their first year. 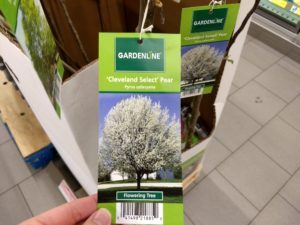 Thoughts: This is an invasive species that spreads and choke out native species, and unfortunately it can be found for sale at Aldi and at other retailers like Home Depot and Lowe’s. We strongly recommend not buying this tree. Thoughts: This is competitively priced and sturdy. It also looks good in my yard and is going on its second season. Thoughts: This is probably not built to last, but it’s fine for getting a head start on a few plants. 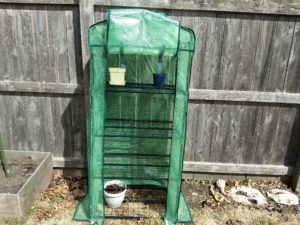 The same greenhouse sells for around $35 on Amazon. Thoughts: In my experience, this seems to have no noticeable difference compared to Miracle-Gro. The only downside is that you have to fill a grocery cart with soil and haul it to your car, versus pulling your vehicle up to a stack of soil bags and loading them directly into your trunk at a nursery or large garden center. It claims to be natural and organic and to feed plants for up to four months. Thoughts: This measures 50 feet long. Thoughts: This seemed like a good, inexpensive purchase, but it didn’t come with a warranty, and after a few months it stopped working. Thoughts: These come in assorted varieties in sizes 7-10. I bought a pair for myself. 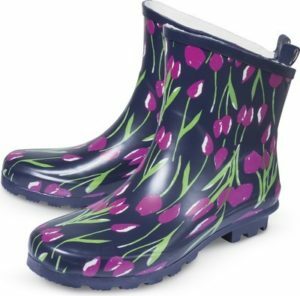 While much of Aldi’s footwear tends to run small, these boots are actually pretty true to size. 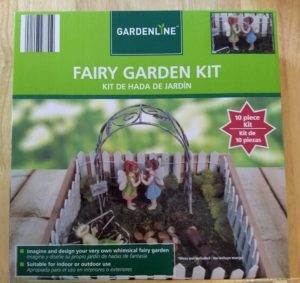 Thoughts: This is a cute kit, but the box the garden goes in is not leak-resistant, and the garden fence didn’t hold up well in outdoor weather. Otherwise, it’s a fun set. Thoughts: These come in assorted varieties in sizes M-XL. 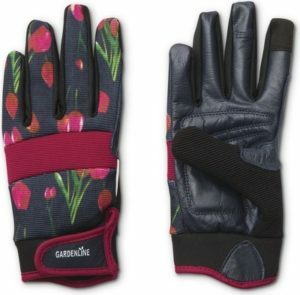 I bought a set of garden gloves from Aldi last year that have held up well, and I wouldn’t hesitate to buy more garden gloves from Aldi. 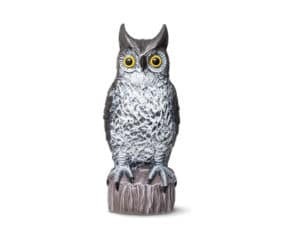 Thoughts: This is advertised as a natural, environmentally friendly way to scare off pests such as birds, squirrels or mice without using chemicals or pesticides. 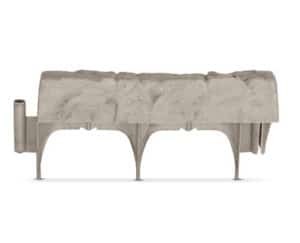 It claims to be lightweight and multi-functional, and it is quite large. 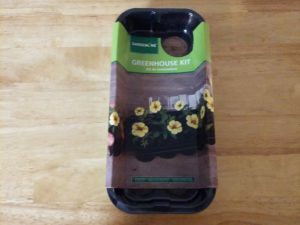 Thoughts: This is a fun little kit, especially if you have children who want to grow things. You’ll need to transplant your seedlings to a larger space pretty quickly, though. 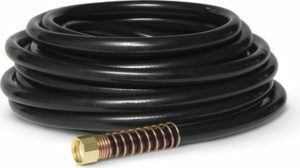 Thoughts: This has worked well in my yard. It’s name brand and can be found at other big box stores. It’s your basic, fairly sturdy garden edging. 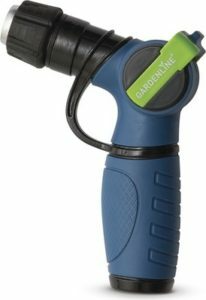 Do you have experience with any of Aldi’s garden products? Let us know your thoughts in the comments. 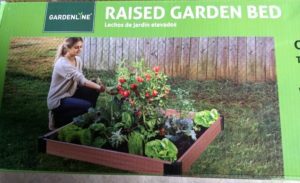 I really like the raised garden bed, put one in about 3 years ago and it is holding up really well. My husband bought me another one this year. I bought a similar one on Amazon and it was pure junk.